You may receive updates from Climate Hawks Vote, the sponsor of this letter campaign. The Green New Deal is coming up for a vote in the Senate MUCH sooner than we thought. Yesterday, Senate Majority Leader Mitch McConnell began to move the resolution to a floor vote, bypassing the usual deliberations. The vote is a monumental opportunity to get Senators on record on this historic framework and begin tackling the climate crisis in a big, bold way. Email your senators NOW and demand they support a Green New Deal. 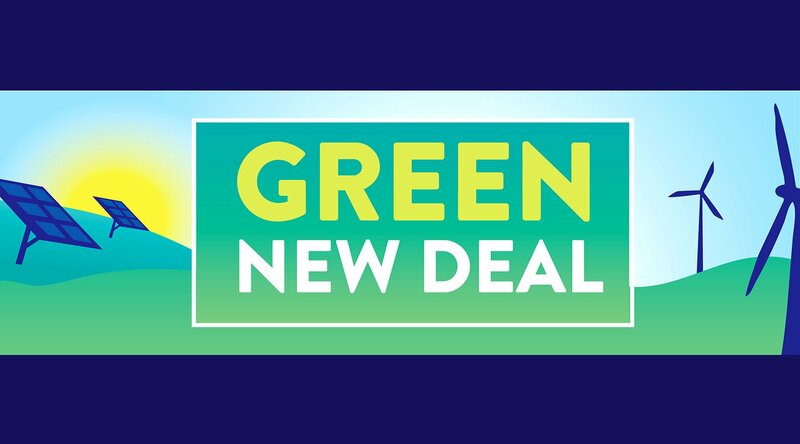 Recent polling finds that an overwhelming majority of Americans agree with the basic components of the Green New Deal and the need to move to clean and renewable energy, away from fossil fuels. A Green New Deal that meets the scale of the climate crisis is a win-win for the American people. Write your Senator -- urge them to sign on as a cosponsor of the nonbinding Green New Deal resolution. We've drafted a short letter for you, but it will have a much greater impact if you add in details on how the climate crisis is affecting you and others in your state and/or how a Green New Deal will benefit you and others in your state.